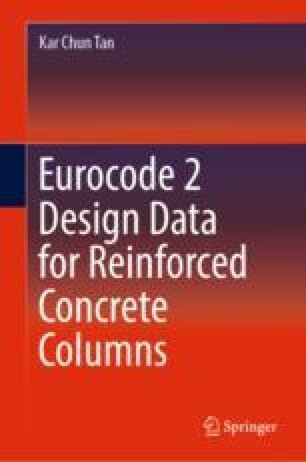 This chapter compiled tabulated ultimate axial resistance, as well as axial and bending moment resistances (about major axis) under balanced failure for commonly used rectangular columns reinforced by up to 16 numbers of 25-mm-diameter rebar in all possible configurations. The column sizes ranged from 150 to 600 mm width with depth-to-width ratio from 1:1 to 4:1. For a compression member, concrete strength plays an essential role. Therefore, the design data is tabulated based on concrete grade C30/37, C40/50 and C50/60 to provide flexibility for designer. Ultimate axial resistance will aid the engineer to decide the size and reinforcement of an axially loaded column, whereas the axial and bending moment resistances under balanced failure provide insight into column capacity when it is subjected to bending moment.